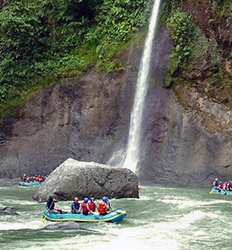 San Jose is a launch pad for river rafting in Costa Rica. Choose from beginner level river rafting on the Balsa River to the more challenging Toro River, or the beautiful Pacuare River. 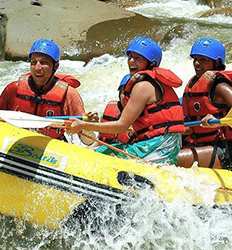 San Jose Whitewater rafting tours offers the best selection to choose from in Costa Rica. For the beginners or the less adventurous we suggest you get your feet wet on the small class 2 and 3 rapids on the Balsa River rafting tour. For the more adventurous or those with previous rafting rafting experience, we suggest you challenge yourselves on class 3 and 4 rapids on the Toro River or Pacuare River rafting tours. 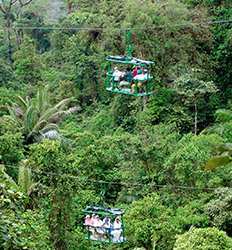 You can also mix up your Costa Rica river rafting tour with a Sarapiqui canopy tour, or make a full day of hiking, rafting and an Aerial Tram in Braulio Carillo on our Rainforest 3 in 1 super combo. 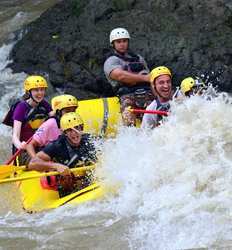 Are you a whitewater rapids fanatic and just can't get enough river rafting in Costa Rica? 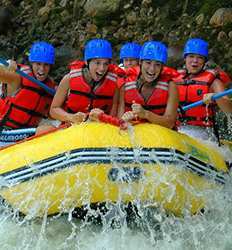 We offer 2 and 3 day whitewater rafting excursions in Costa Rica that should satisfy the most avid river rafters. Paddle the Pacuare River, hike through the rainforest and visit the indigenous tribes that have called the Pacaure River basin their home for centuries. What more could you ask for? 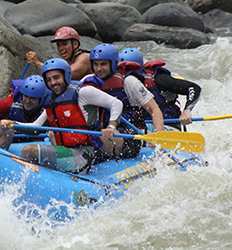 One other bonus you should note is that several of our San Jose rafting tours are smart connection tours. What does that mean? Well you can leave San Jose in the morning, and be sleeping at the base of the Arenal Volcano or cabana near the Caribbean beaches in Puerto Viejo by nightfall. Smart connection tours save you money on shuttles between cities and are a whole lot more fun. 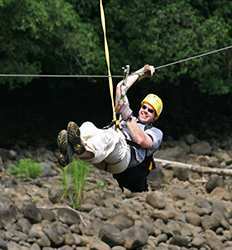 The Real Deal tours offers the best deals in Costa Rica on the best whitewater rafting tours in San Jose. Take a look at all the whitewater rafting tours below and choose your adventure today!